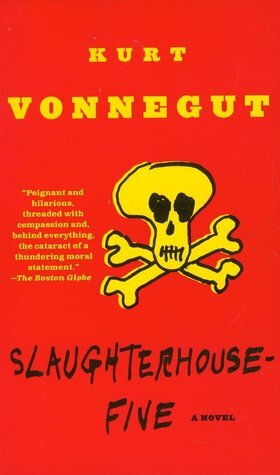 Synopsis: Kurt Vonnegut’s absurdist classic Slaughterhouse-Five introduces us to Billy Pilgrim, a man who becomes unstuck in time after he is abducted by aliens from the planet Tralfamadore. In a plot-scrambling display of virtuosity, we follow Pilgrim simultaneously through all phases of his life, concentrating on his (and Vonnegut’s) shattering experience as an American prisoner of war who witnesses the firebombing of Dresden. Review: I really don’t know how to review this book other than telling you to read it. It’s a easy to read classic novel that is broken down into smaller paragraphs/sections that bounces back and forth through Billy Pilgrim’s timeline and even space. It was a book about the Dresden massacre that could not be written because “there is nothing intelligent to say about a massacre”. I don’t know how else to describe it. It’s a book about war, PTSD, love, aliens, free will and death. So it goes. The writing is unbelievable. It took me the first chapter to get acquainted to it, however. It seems like such a simple book but there is so much meaning in the words. It was weird to have a book that was filled with characters that weren’t really characters at all. I feel like this review didn’t cover anything but like I said in the beginning I have no idea how to review this book. All I got to say is that if you haven’t read it, you should give it a read. This entry was posted in book review, review. Bookmark the permalink.